UAE is becoming the center of world’s trade and business. To have a good reputation in the international market, it is very critical for any company to have a branch office or representative office in UAE. Presence in UAE is a trademark. Unlike the rest of the gulf nations, the government of UAE is very generous and has made things a lot easier for new coming investors. According to the World Bank’s Ease of Doing Business 2016 report, the UAE ranks 31 internationally. It takes only six procedures and eight days to open a company in the UAE, compared to 8.2 procedures and 18.8 days in Mena, and 4.7 and 8.3 worldwide. 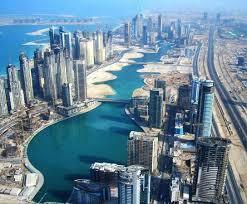 With numerous free zones and zero taxation UAE is like a victory spot for all potential business owners. Despite off, all these perks and privileges business setup in UAE is not as simple as it seems. The procedures are simple and less in number but they get a bit confusing if you don’t have the proper guidance. Meanwhile, there are a lot of other things to keep in mind. We did a survey with our clients to find out the major hurdles they faced and what key information should be transmitted to newcomers prior of making an investment. I am hereby, listing down 12 things to keep in mind that nobody will tell you when you are planning to invest in UAE. 1. Where to find the concerned authority? There a lot of guides and articles placed on internet, however; most of our clients think that these guidelines are not pragmatic. You read an article on How-To___ in UAE but as soon as you get on the ground the things are totally different. It’s not just about finding their office, the SOP, the procedure, the tone, you have to be well aware of all the factors for streamline processing. Every authority has its own official website, all the information about the costs and the documents required is mentioned on it. Don’t rely on any other websites. There is zero taxation and low import duties but still the cost of setting up offices and minimum wages of employees is a big consideration. As a beginner in UAE, it is difficult to make an estimate of how much capital is required, and how much to invest and keep aside. The statistics of successful SMEs show that, from paid-up capital requirements to mandatory office space and trade license fees, entrepreneurs need to set aside as much as $10,000 (Dh36, 730) in annual costs, depending on the kind of company they are starting. 3. Can a Foreign Company own a property in UAE? All companies who want to expand their business in UAE are always concerned for owning of property. The UAE commercial company law gives any company its own legal identity which allows owning its own assets separately from one of the shareholders. A foreign company can own a property in its name, in specific areas by obtaining license from JAFZA. (Jebel Ali Free Zone Authority). As per new regulations imposed by Dubai Health Authority and the General directorate of residency and foreign affairs it now mandatory to have health insurance of your dependents and employees taking less than 4000 Dhs monthly. The banks in UAE have a limited appetite for lending loans especially to SMEs. This is mainly because the country hosts a large number of expatiates and therefore there is always a risk of recovery. The borrower must strictly adhere to loan terms and in event of failure he may face penalties like travel ban and license cancellation. Some of the banks allow early settlement so borrower might be requested to pay off outstanding loan amount plus early settlement fee while other banks may ask the borrower to pay the entire profit amount for the originally agreed tenure. 6. Legal Forms of Businesses in UAE. UAE is a home of more than 100 plus national but still finding competent employees gets difficult most of the times. Hiring process in sometimes is very exhaustive as it’s hard to find the right person for the job. Most of our clients are of the view that in UAE it’s easy to build a team rather than searching for it. Living expenditures in UAE are pretty high, plus you have to get the mandatory health insurance in early months of your arrival. If you take too much time to settle down yourself and your business setup, your expenses will expand accordingly. It is recommended that if you plan to move with your family to UAE, don’t take them along with you until your business is in good shape. The cost of education and other livings is high than rest of the world. One of the most critical issues faced in Dubai is the change of language. Though, English is widely spoken among expatriates but still a little know how of the Arabic is beneficial. Emphasis is more on reading than speaking because of the legal procedures and documentation is mostly in Arabic. People are pretty much concerned about how to deal with Arabs. Well, UAE is a leading tourist destination so a lot of hospitality is also stored in local Arabs. They are mostly friendly and tender people, however, drinking alcohol and showing affection in public is not liked. The country follows strict Islamic laws and there is no tolerance if you default in personal behavior or illegal activities. It is good if you diversify your circle and your organization. In UAE you will find people from every corner of the world. Be tolerant and learn to make new friends. It helps a lot in living as well as doing business. UAE is now a global market. Every year thousands of entrepreneurs are coming to UAE and the competition is getting tough by each passing day. It’s like a Marathon going in UAE, to succeed you have to be on top the line and be the best. UAE is giving a boost to businesses. If you are ready to unlock your spirit in UAE, proper guidance is essential. Our team at Riz and Mona is providing exceptional services to its clients. You can contact us any time regarding any query; we are here to help you out. Thanks for the post and advice. That’s a great 12 points to follow in order to start a real estate business in UAE.